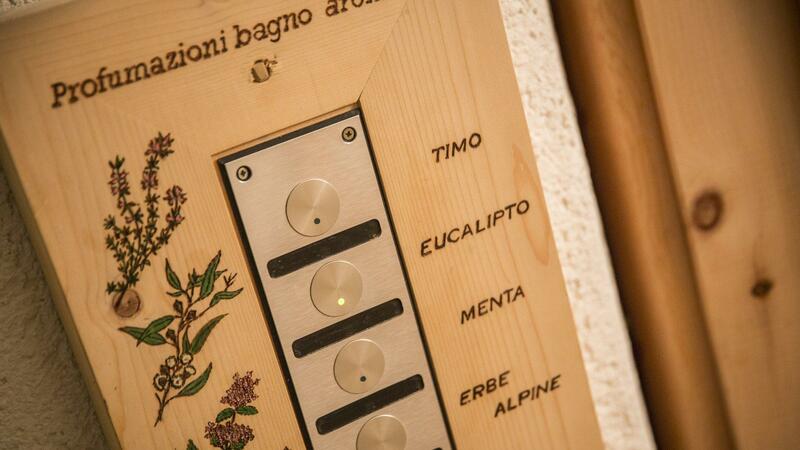 The best way to relax and invigorate yourself after a day in the mountains or at work is to spend some time in our spa, surrounded by the aromas of Val di Fiemme pine near the warmth of the fireplace. 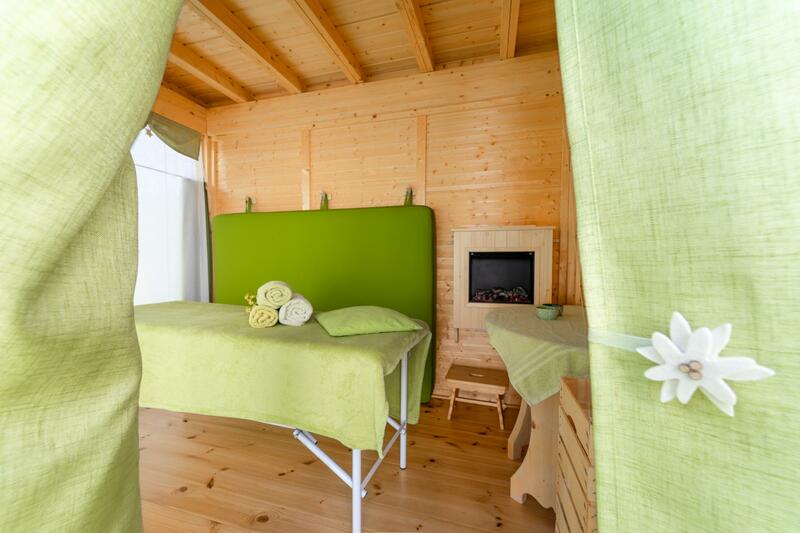 The spa in Cavalese is an oasis of relaxation, so don’t miss the opportunity to take some time to restore some energy and vitality. 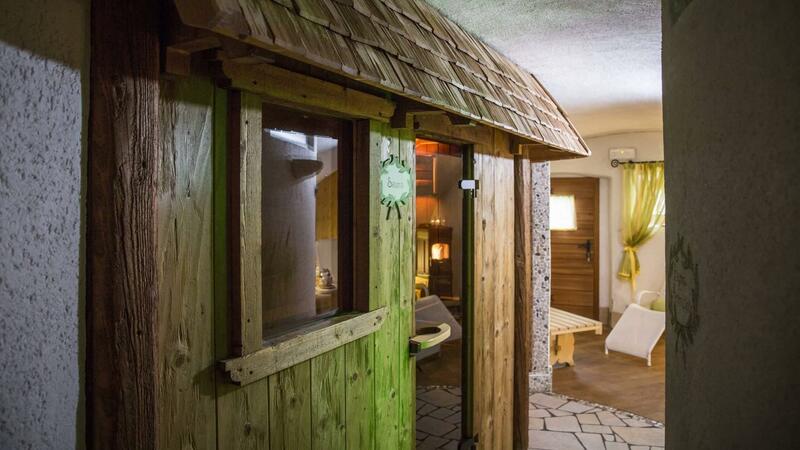 If you’re looking for a spa break in Trentino, Hotel Garnì Laurino is waiting for you in Cavalese: an aromatic Turkish bath, bio sauna and open-air whirlpool. 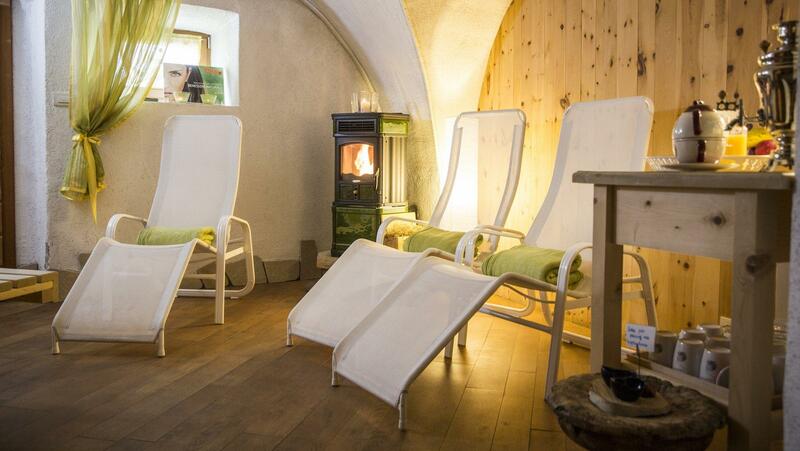 Relax while listening to the sounds of nature in our Finnish sauna with a view of the night sky and chromo therapy. You will be enveloped by the pleasing scents of the forest. For an effective, healing post-sauna kneipp effect, take a walk in the snow in our adjacent garden. A beneficial steam bath for deep skin cleansing, together with our mountain herb peeling is ideal for a pure and smooth skin. The aromatic Turkish bath aids improved respiration. Choose your preferred aroma and relax. 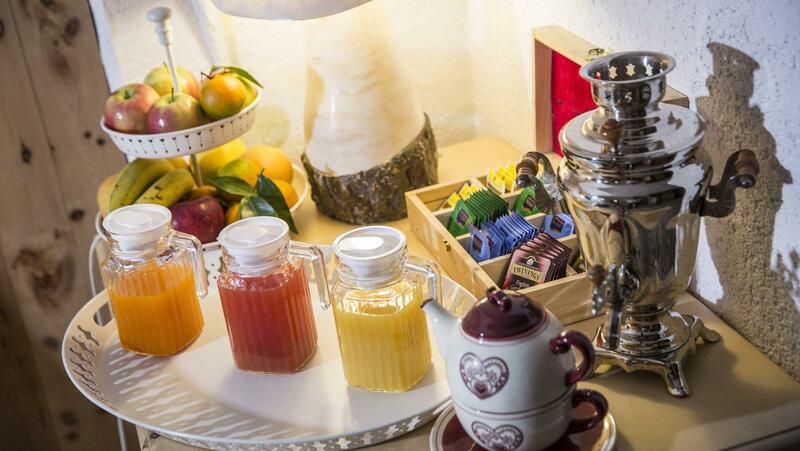 Relaxation area with detoxifying and energising herbal teas. Relax by the fireplace on one of our comfortable loungers. 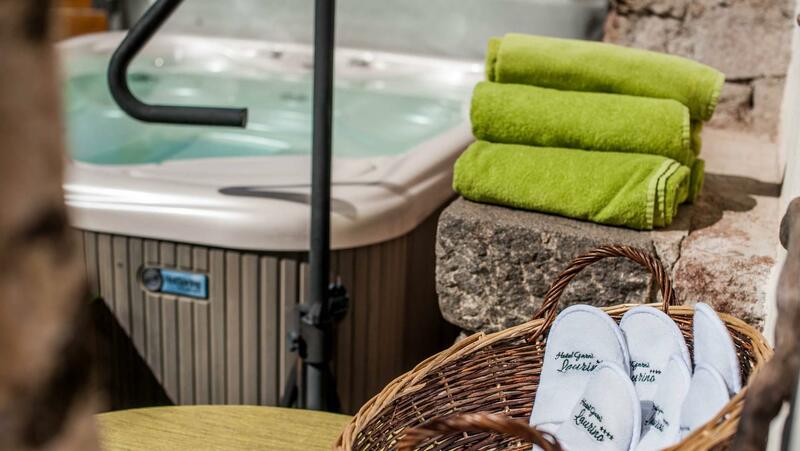 Take a pleasant dip in our open-air, warm water hydro-massage bath; temperature adjusted depending on the time of year. Mood lighting for a romantic ambience. Comfortable sun loungers in the peace and quiet of our relaxing garden.